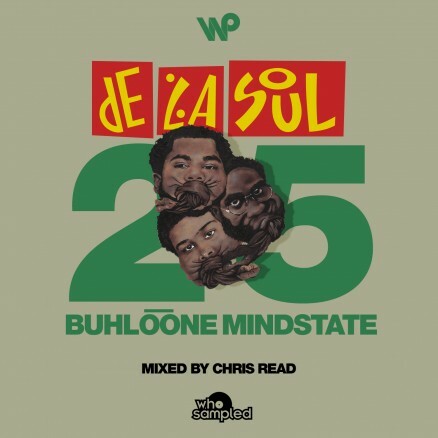 “De La Soul’s third studio album ‘Buhloone Mindstate’ was released on 21st September 1993 and provided another step change in the celebrated band’s constant evolution. As the group’s last album produced by long time production partner Prince Paul, the LP was no less musically ambitious than previous efforts. Sample material, as before, touches on Soul, Funk, Rock & Jazz, this time with the incorporation of some guest vocalists and notably live instrumentation from jazz/funk legends and frequent James Brown collaborators Maceo Parker, Fred Wesley and Pee Wee Ellis. The result is an album that, even if not their best selling, certainly stands up to its critical acclaim 25 years after release. “It might blow up, but it won’t go pop” as the album’s mantra states.